We had a chat with Director Kenta Sugano about the upcoming JRPG, and with Idea Factory International’s localization team (Editor Alex Valles and Translator Justina Lange), in order to learn more about the game and how it’ll be presented to the western audience. We get to learn about gameplay, story, characters, and some info on what we can expect from voice acting and translation. If you’re curious about what they told me, read on. Giuseppe: What inspired the split personality that affects the heroines in the game? Was it a challenge to get the voice actresses to completely change attitude and tone when they worked on the related scenes? Kenta Sugano: When we were planning the game’s concept, we kept returning to the idea that one of the heroines would betray the player before the game was over; we also thought heavily about having the player eventually discover who the betrayer was. We already knew we wanted to create an environment that was suspenseful, and so we arrived at the idea of giving the heroines “split personalities” as it would just add to the entertainment of trying to identify the traitor. However, we did consider that players might be a little too disappointed when they found out the traitor was a member of their team. We didn’t want to make the traitor arbitrarily betray the team because we were concerned this might affect players too negatively. We wanted to make the betrayal happen because of an external cause and not by her own choice. The external condition makes her act in this certain way, and we wanted to design the game around learning about the condition, which ultimately guides the player to discover the traitor’s identity. I also thought it would be interesting if the heroine’s personality changed drastically because of the split personality. Regarding the voice acting and expression of two completely different personalities, the ranges of personality differences varied depending on characters. I can’t speak for them all, but I am sure it was difficult for voice actresses to toggle between two separate voices for the same character. That being said, the voice actresses were very talented and professional. They handled our very detailed direction incredibly well during voice recording. They all struggled a bit in acting for the interview section, though, which is the part where the main character tries to identify the traitor. There are several lines to read through, and many of them were repeated. This was confusing to follow at times, but I don’t blame them because even the development team got confused sometimes during voice recording! G: One of the most charming aspects of the game is certainly the character design by Kosuke Fujishima. What led to this choice? Was it difficult to translate his familiar art style into 3D models? KS: One of our staff members knew somebody very close to Mr. Fujishima, and we had the incredible honor of being introduced to him through that person. At first, I thought it was going to be almost impossible to get him to work with us as a character designer for this title, and when he took our offer, we were extremely happy. It was a really great surprise. We didn’t think it would happen! When he came on board, we had to make sure his character design would translate well into 3D models. This was a huge pressure on us because his art is so gorgeous that we had to find a way to transpose that beautiful artwork into a 3D format. This was definitely one of the hardest processes during game development. I feel that we were able to improve our skills during this process. More than anything, we were very grateful that Mr. Fujishima was happy with the result. We had limited resources at the time of this title’s development, but, in the end, we were able to deliver. G: What made you decide for a turn-based battle system as opposed to an action-oriented one? KS: Mr. Fujishima is wildly popular among fans of manga, anime, and video games. I can confidently say that anybody who’s a fan of those mediums knows about him or has seen his artwork before. 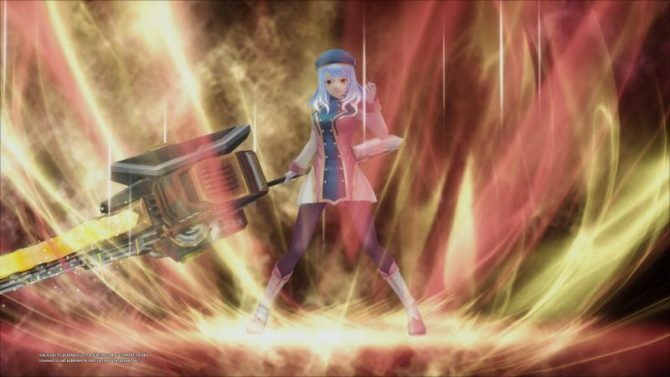 We thought this game could attract anime and manga fans who maybe don’t game as much. With that audience in mind, we wanted this game to have a streamlined user experience that would be able to entertain gamers of any level. We thought a turn-based RPG would give players a more relaxed sense of gameplay than an action-type might. On top of that, it seems like there are a lot of great Action RPGs coming onto the market these days, and many seem to view turn-based RPGs as less exciting. I wanted to show everyone that turn-based RPGs can still be really fun! G: One of the main differences between western and Japanese games is that the latter often put a strong accent on romance, while the former tend to leave it aside. 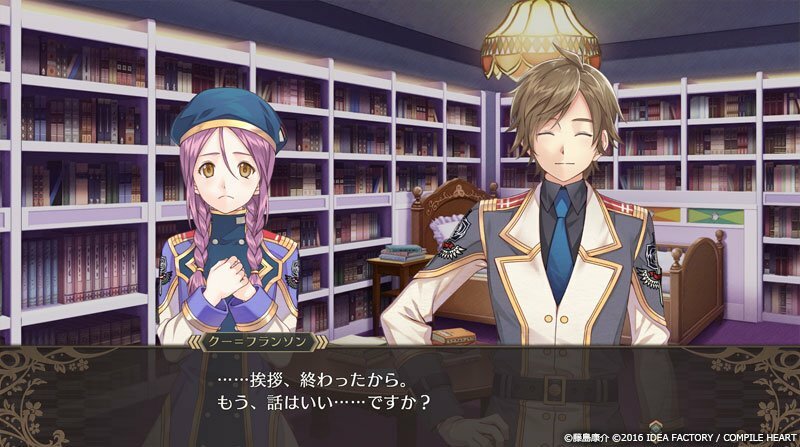 How important is romance in Dark Rose Valkyrie? 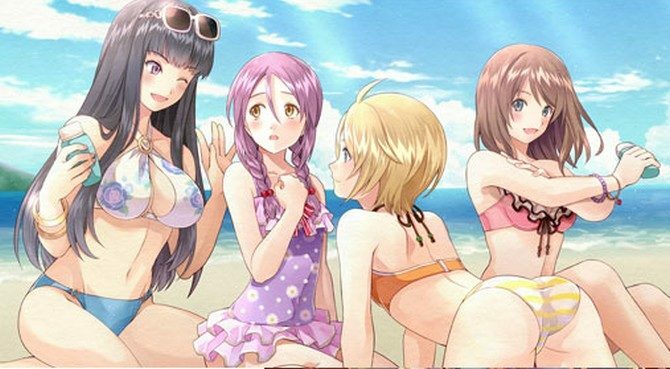 KS: There are five heroines who all have their own charmingly unique personalities, and romance is definitely an important aspect of the game. The romance portion is going to be rewarding for players when they clear the game and that was something we’d planned since the beginning of development. Unlocking each of the endings for the heroines is a huge part of the fun factor of this title. Also, we did pay very close attention to crafting the looks and personalities of not only the main characters, but the side characters, too. Thanks to that, the game doesn’t rely so heavily on the romance element and the story is well-balanced in that regard. I hope that gamers in the US and EU will find the romantic aspects of the narrative tasteful and enjoyable when they play through the game! G: Which one is your favorite heroine? And why? KS: It’s hard for me to pick my favorite because all of the heroines are so well-developed, but if I had to choose just one, I’d pick Ai Yakumo. If I could select any female character from the game, I’d say my pick goes to either Miyako Osatani or Kana Hazuki. What I really like about Ai is that she’s very pure and honest. She’s very earnest in her efforts to support Asahi Shiramine, but then again, they all are and I don’t think I can pick just one favorite heroine. It’s important to see all of their endings so you know what I’m talking about. I’d love it if anyone playing through this title can get each of the heroine’s endings to see how their story plays out! 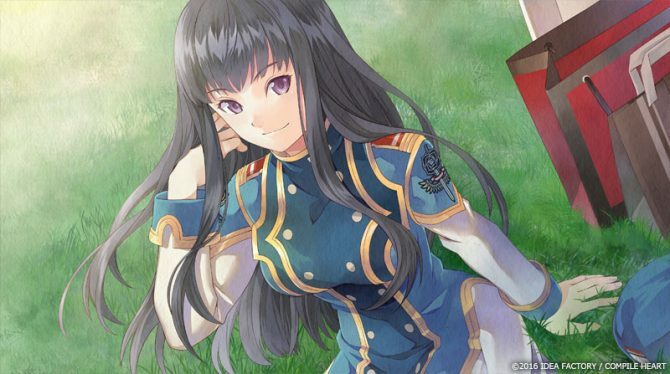 G: During the development of Dark Rose Valkyrie, has there been any consideration for a possible western release down the line? Or you focused development on appeasing the Japanese market exclusively? KS: A lot of our titles have been localized in the west, so I definitely thought about the possibility of this game being released in western markets. However, I thought I should focus on developing a great game for Japanese audiences first and foremost. If I focused on both markets’ preferences and trends, the game would get too convoluted and not really satisfy either audience. 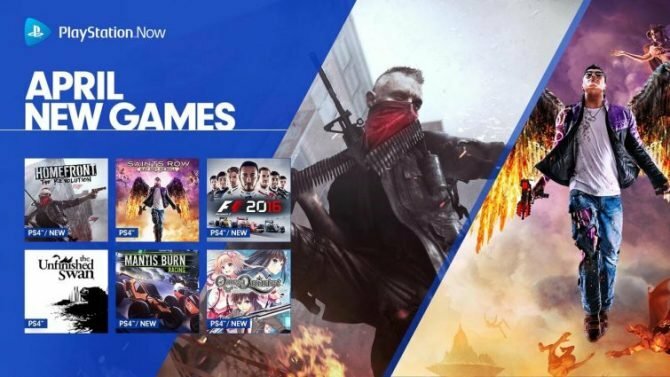 If we could make a successful game for the Japanese market, this would result in drawing in fans of Japanese video games from around the world. G: Is Dark Rose Valkyrie seen as a franchise that might get sequels in the future, or it was intended as a single one-off game? KS: Idea Factory is always striving to develop new types of games. We always put all of our effort, skills, knowledge and passions into creating a new IP. 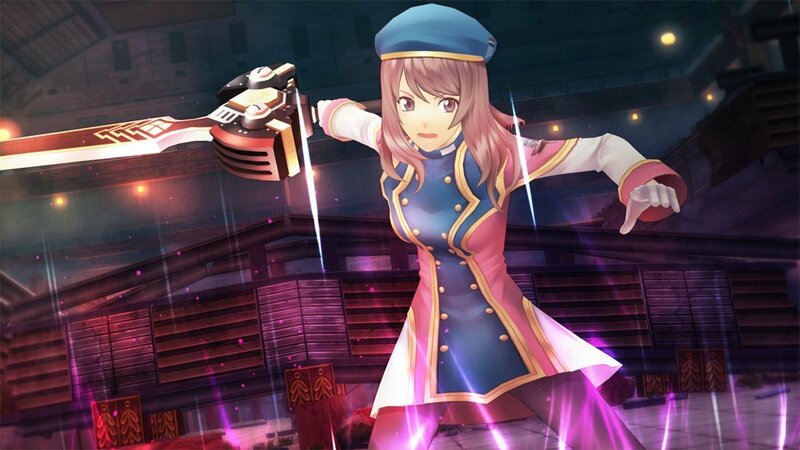 Dark Rose Valkyrie is a bit unique in that it was developed in collaboration with other people, like the talented Mr. Kosuke Fujishima. Therefore, the timing would have to be right to develop future sequels. At this moment, I cannot say when this could happen, but if there is enough support from the fans for this game, we might see it develop into something larger in the future! G: Idea Factory has been releasing many of its games on Steam lately. 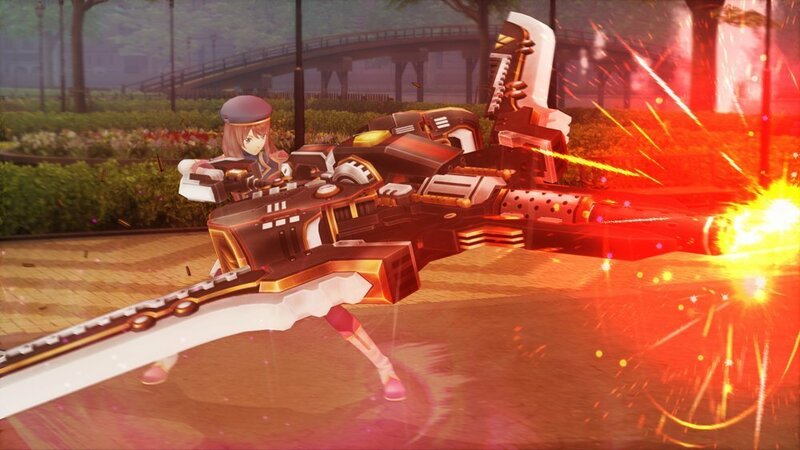 Is that something you’re interested in for Dark Rose Valkyrie? KS: I always hope that our games will be played and enjoyed by many people. So, if there are lots of requests from fans, I would definitely love to consider the possibility! G: Lastly, any message to fans and gamers? KS: This game is filled to the brim with fun elements. The story, which is anchored in the heavy theme of betrayal and this volatile concept of the split personality, the turn-based battle system, and the beautiful character design of Mr. Fujishima all add to its playability and charm. There are tons of features stuffed into this game, but we designed it with a system that allows player to skip certain features, get shorter loading times, and enjoy multiple difficulty settings. We hope that this game would not only satisfy seasoned RPG gamers, but new gamers, too! If anything about the story, battle system, or the characters have intrigued you so far, please give it a try when it hits the western market in 2017. You won’t be disappointed. 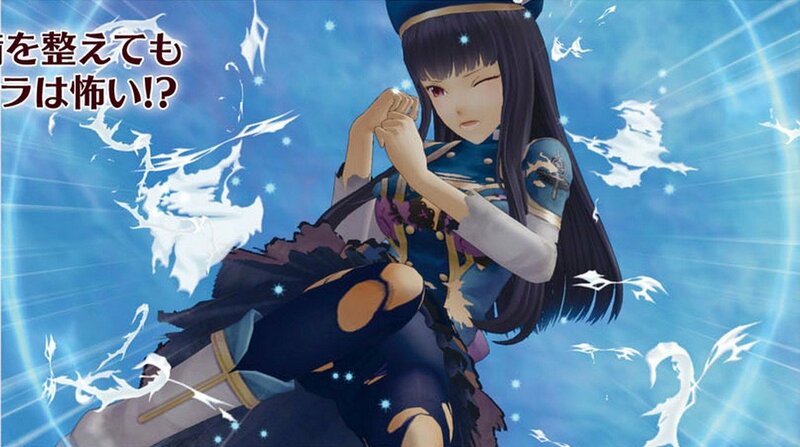 Thank you very much for this opportunity to talk about Dark Rose Valkyrie! Giuseppe: What determined the choice of “Dark Rose Valkyrie” over “Black Rose Valkyrie” for the western title? Alex Valles: We initially wanted to leave the name alone but due to copyright issues, we decided to change it. G: The heroines are affected by split personalities, and when that happens they tend to completely change the way they talk in the original Japanese audio. Is it challenging to convey that in English? AV: Although we haven’t begun voice recording yet, I’m confident we’ll be able to capture this pretty well. Justina and I were the pair behind the localization of Megadimension Neptunia VII, and if anyone remembers the extreme voice changes Uzume went through when shifting between her brusque attitude and her super cute persona (sometimes even mid-sentence), they’ll know that we’ve had experience guiding voice actors through this sort of thing before. I think it’s going to be pretty fun since we’ll have a few more characters that go through this kind of change in DRV, and I’m really looking forward to seeing who gets casted and watching these moments of the script come to life. Justina Lange: It can be a little challenging, as there are some subtle cues in Japanese that show a person is being ruder than usual to who they’re addressing, or changes in style of speech. Although there may be no equivalent way of showing subtle rudeness in English, I feel we’ve tried our best to express these changes in a way that sounds more natural to an English-speaking audience. When it comes to voice recording, we’ve had some experience with VOs needing to change their pitch and tone drastically. It’s really fun to work it out with them and see how well the VOs can shift between different personas like that. G: The original game comes with quite a bit of fan service, including a clothes break feature. Can we expect to see it intact in the western localization? AV: It’s definitely still in there. The guys in the game get a costume break, too. Asahi’s abs are insane! What are they feeding those guys at Chimera Interception HQ? JL: Yes! It’ll definitely still be in there. I always find it amusing that Kengo gets very upset at his hard washed clothing getting destroyed in such a manner. G: Can we expect the Japanese voices to be included in the western release of the game? AV: Yes. If we record an English dub, we always try to include the Japanese audio. We know how important that is for fans of this genre. G: Are there any concepts or parts of the original script that will be challenging to translate in English? AV: So much of it is pretty straight forward as far as the story is concerned. If anything, some moments do have a lot of Japanese text and we have to do our best to work with the character limits we’re given. 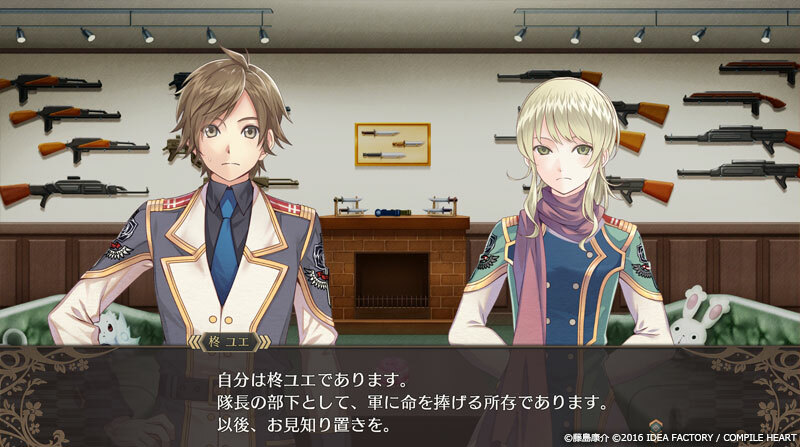 JL: Since Dark Rose Valkyrie takes place in a military setting, it was interesting to work out what some military concepts would be equivalent to in English. Especially ranks! Military rank can be a little confusing sometimes. G: Will we get the DLC released for the Japanese version in the west? How will they be distributed? AV: Yeah, and there’s quite a bit of it, too! Stay tuned. 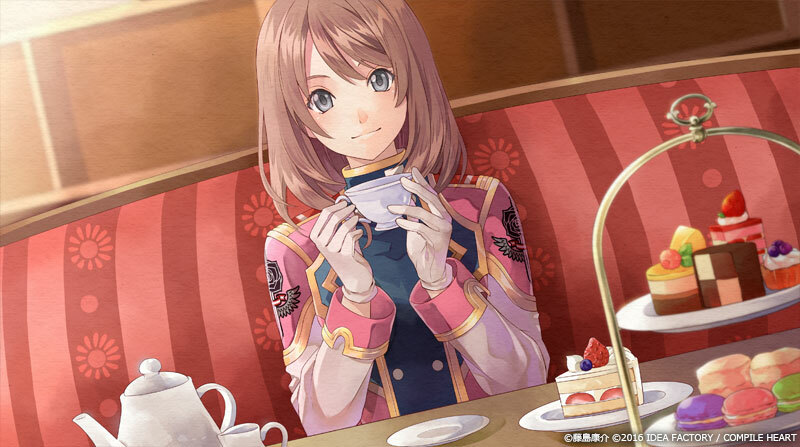 G: What do you think makes Dark Rose Valkyrie an attractive title for western gamers? AV: The members of Valkyrie Force all have pretty impactful backstories that I think players will find engaging. Most of them have dealt with some heavy losses, and if you dig into the subtext of their individual narratives a bit, you’ll find that there are some very complex emotions they each experience as the story progresses. This is even true for those on the force that aren’t the main heroines. The narrative that surrounds Kazami and Kengo affected me quite a bit when working on the script. There are some really moving scenes in their story in particular, and like Sugano-san mentioned, playing through this more than once to get different endings is worth it to see these emotionally dense moments unfold. JL: Each character has very personal reasons for joining Valkyrie Force, and it’s great to learn about each member and their interconnections as the story unfolds. There are some emotional and heavy moments that affected me while working on this game, that I feel will impact a lot of players too. There’s an element of suspense too, in trying to figure out who will eventually end up betraying you. As Alex said, It’s worth several playthroughs to see how differently the story can unfold. There’s also an interesting twist to the gameplay, which is the Tactical Wait Gauge – since it lends an element of time to your strategy, you can pull off things you couldn’t do in a straight turn-based RPG, such as keeping enemies from attacking fully, or changing their attack type by knocking them down the Gauge with the Charge attack. It’s neat to try and fully take advantage of all the systems within the game! Dark Rose Valkyrie was released in Japan exclusively for PS4 on July 21st, 2016, and will launch in the west in the spring of 2017.